An interest only mortgage is where the lender only charges you interest on the loan you've agreed. You don't pay the capital back until the end of the mortgage term 25 years or whatever period agreed. The idea of this mortgage is that you pay the interest owed to the lender and save the capital repayments by investing them elswhere. At the end of the mortgage term you will have hopefully made enough money from investments to pay the lump capital sum. This way you can possibly make a saving by investing capital that would otherwise be paid straight back to the mortgage lender. Basically if you have taken out an interest only mortgage for 25 years on a property for £100,000, you will only be paying the interest back for the mortgage money you have borrowed. Therefore after 25 years, your balance on your property will still be £100,000. Interest only mortgages are very popular with buy to let mortgages. In addition, just for example a person had 20 properties and was paying £400 interest only mortgage, and was getting £600 rental from the property, then he would be getting a profit of £200 per month on his investment. If you multiply, £200 by 20, that would mean he would be making a profit of £4000 per month. Mortgage Help Centre are specialists in interest only mortgages in the uk. 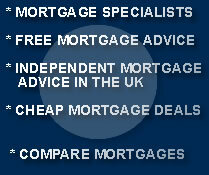 Mortgage help centre offers mortgages in all areas of the UK. We offer our mortgage services free advice legal assistance mortgages, in the following areas including london, birmingham, newcastle, luton, bedford, scotland and manchester.